The launch of beatredundancyblues.com has been greatly anticipated for some time and I am proud to announce that as of now, on Tuesday 26th of March 2013, beatredundancyblues.com is finally launched. 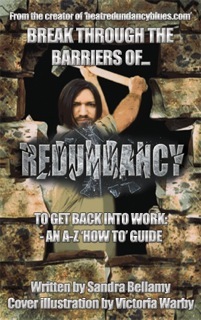 beatredundancyblues.com is designed and built with you in mind, to help motivate and rejuvenate you back into work. Please take time to browse the site and let me know what you think? In the meantime, stay positive, Sandra Bellamy.